I have mentioned before that my all time favorite color is green. It is hard to explain why it is my favorite color, but it has been my favorite ever since I was a small child. One of my favorite shades of green would have to be mint green. I find this shade of green to very feminine, something I think green is not normally seen as being. Here I have paired mint green and a soft peach together. I think these colors look amazing together and they create an ultra chic look. I really like the pleats and the way this dress folds and the details on the cape are really pretty. I loved this top. I thought it paired mint green with a color that I wouldn't have thought of coral orange. I think the two look really well together and I try to bright that out more in the look by adding in coral accessories. Mint green can also be a very professional color, especially when paired with gray. I think this is an outfit that I would wear to work. It is cute and a little more serious looking than my other outfits. Here we have some random green items. These items can fit into any one's budget since each item is less than $50. My personal favorite would have to be the bag on the top row. I love the design of it. Here I have paired mint green with peach, coral orange, and gray. What other colors would pair it with? These three looks show that mint green can be incorporated into your closet very easily as a more formal look, casual look, or a more professional look. You can also do black and jeans to with mint green. I love the first dress. I have a mint green zip up hoodie that I adore! Someone gave me a Stylish Blogger Award and I want to pass it on to you. I love reading your posts! You can get details from the link below. all i needed to see was the ice cream! delish! I love mint green! 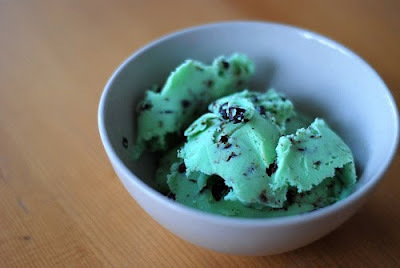 & I love mint ice cream! I just had to rhyme right there lol :) I really like the mint green paired with the coral orange; it's very bright! I also like the other outfits too :) I would probably also pair it with black, too, just because it's neutral.